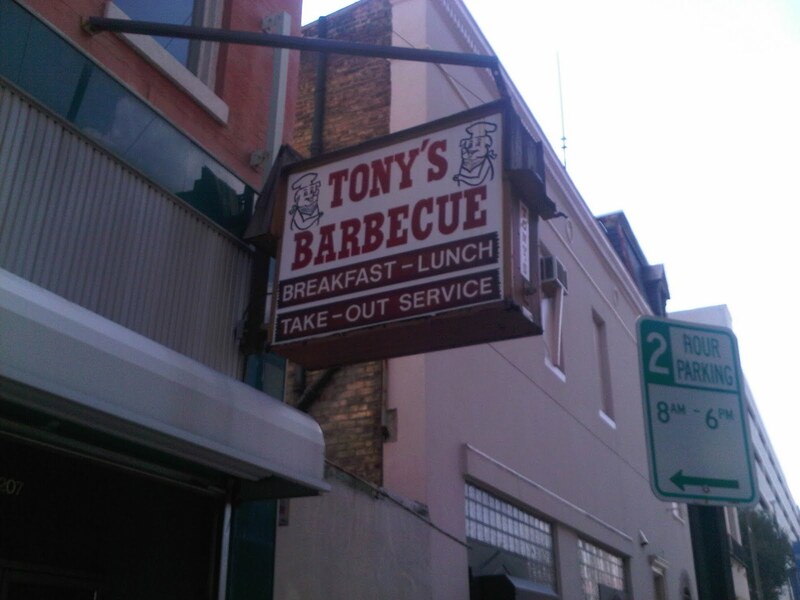 Tony’s BBQ – 207 N. 3rd. St. – BBQ sandwich for $3.99 and cheap breakfast all day! Tony’s is a dive and I like it. The owner and server who always seem to be there are very friendly and attentive, the restaurant is medium-sized, dimly lit and old-looking. The BBQ sandwich is great. I have had the $3.99 BBQ sandwich twice now and I loved it both times. 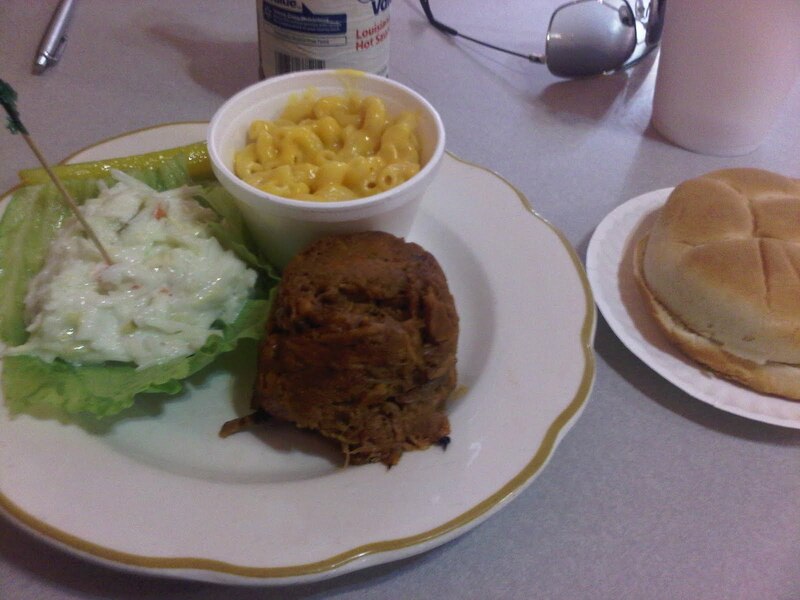 Today, I tried the mac and cheese and coleslaw sides and a “home-made lemonade” also. The mac and cheese didn’t really do it for me, but the cole slaw was decent. I love that you can get breakfast all day here, but I haven’t tried it yet. The biggest detractors about this place for me today were the 3 loud drunk customers shouting at other customers. It was a more relaxed atmosphere the first time I was there so maybe the Natural Light Posse doesn’t always meet here. Looking again at this photo, I wonder "why does the coleslaw come with a toothpick in it?"